Standing at 100MW with six-to-eight hours of storage, this would not only be the second ever seawater-based pumped hydro storage project in the world, it would also be the largest. EnergyAustralia claimed that the project would account for the equivalent of 60,000 home battery storage systems, but at a third of the price, while helping to stabilise and integrate clean energy to the grid. Air-conditioning is clearly a major challenge for the country’s grid operators and the project could offer some respite. The proposed project would be situated at the northern end of the Spencer Gulf with 300 metres elevation, two kilometres from the coastline and in close proximity to high voltage transmission lines. Pumped hydro storage involves pumping water from a lower reservoir to a higher reservoir, when energy produced is cheaper or in excess. In peak periods, the water can be released downwards to run a turbine, which then generates electricity. Since 2013, EnergyAustralia’s project partners, Melbourne Energy Institute and engineering consultancy Arup Group, have been investigating how to adapt traditional fresh water pumped hydro for use with seawater instead – a need for innovation driven by Australia’s dry conditions. The feasibility study for the new project is touted for completion by mid-2017 and if then approved via consultation with stakeholders and government, it will require a two-year construction period. Prime minister Malcolm Turnbull has also written to the Australian Renewable Energy Agency (ARENA) and the Clean Energy Finance Corporation (CEFC) asking them to prioritise pumped hydro and storage. Grid stabilising has become a major poltical issue in Australia over the last few months after several disruptive blackouts in South Australia and other states. This led to a furore surrounding integration of renewables into the grid with various energy bodies and environmentalists arguing over whether renewbales had any role in the power cuts. Tellingly, even Turnbull noted that a storm had caused the South Australia power issues. In related news, construction has started on the first phase of what will be Australia’s largest solar plant, just off the back of reaching financial closure. While a second phase of 270MW of solar is planned at the 50MW Kidston solar farm at a gold mine in Queensland, energy firm Genex Power is also considering developing an accompanying 250MW Kidston pumped storage hydro project, which it found could be connected to the solar plant in a recent study. This would be the first Australian example of co-locating a large-scale solar farm with a large-scale pumped hydro storage project. 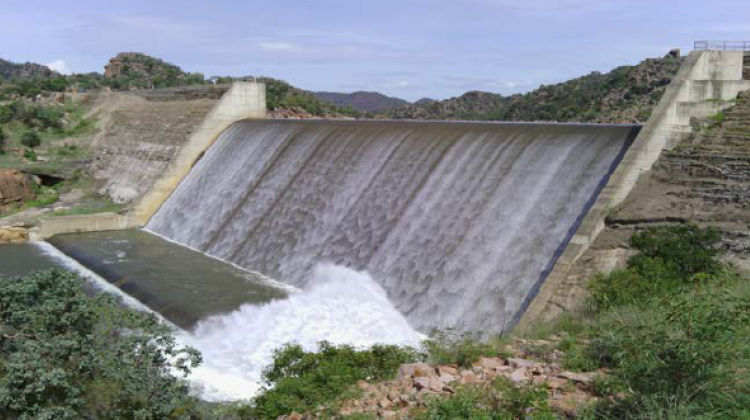 Genex forecasts that the pumped hydro storage project will support 1,500MWh of continuous power in a single 6-hour generation cycle. Despite many instances of pumped storage deployment worldwide, there are only three pumped hydro storage projects operating in Australia at Tumut and the Shoalhaven in New South Wales and at Wivenhoe in Queensland. The Kidston solar project received a debt funding arrangement of approximately AU$100 million (US$76.9 million) from Société Générale, with the Clean Energy Finance Corporation (CEFC) taking care of the EPC requirements and O&M costs.